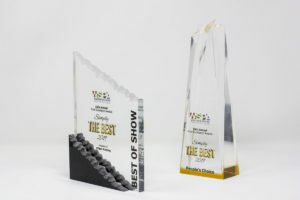 We are so excited to announce another successful showing at the Western States Printing Alliance 2019 awards ceremony. 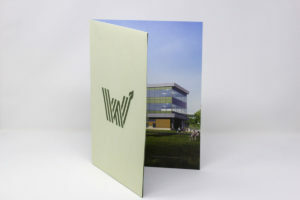 We take pride in our ability to provide high quality print solutions for our clients and our submissions this year showcased some of our best work to date. 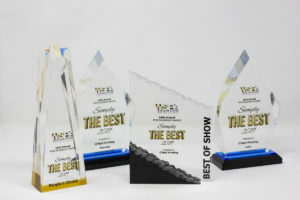 The O’Neil team took home 9 printing awards for projects ranging from hardbound books to invitations and everything in between. 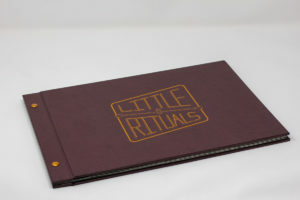 This year, we received awards for boutique work that pushed our capabilities such as the Little Rituals bar menu pictured below. Little Rituals is a new bar spinoff of Bitter & Twisted located in Downtown Phoenix. 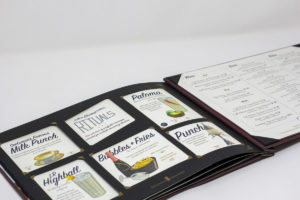 This menu won best of show going up against so many great projects by the best printers in the valley. 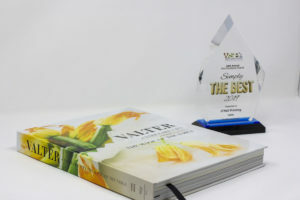 Other projects that won gold awards this year included a hardbound book titled Valter of Salt Lake City – a beautiful book featuring creative food prepared by Valter Nassi. 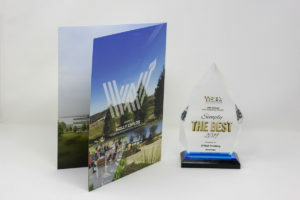 Another gold winner was the presentation folder for Westridge – a new housing and retail development. 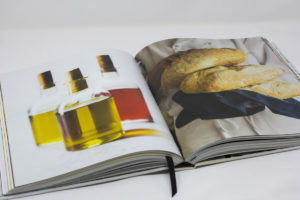 Several other award winning projects this year included The Story of Knapp Ranch – a hardbound book. A “beers and bites” invitation for a Father’s Day event and more! 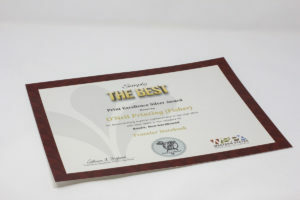 We are proud of our the O’Neil team for delivery quality outcomes for our clients and look forward to continue pushing the boundaries in 2019 for our client projects! Check out the images of these projects below!